My shoes fell heavy on the sidewalk as I traveled east down Pennsylvania Avenue. 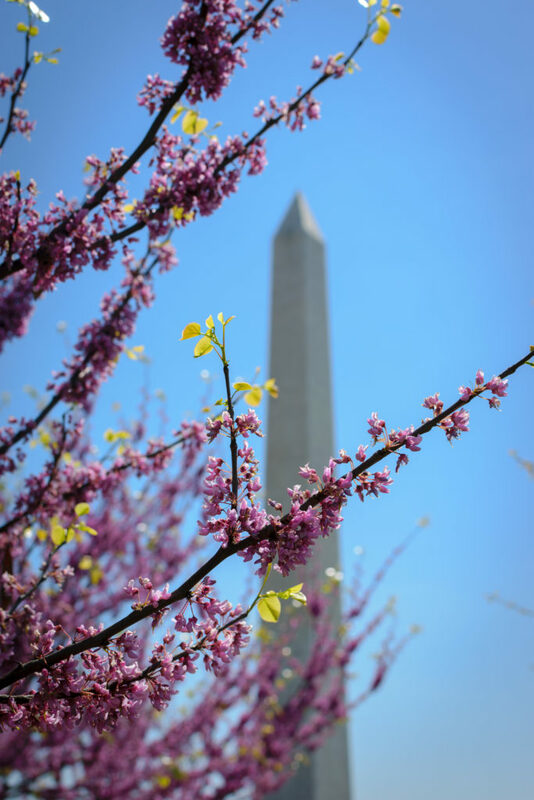 To my right the bright sun beat down sending flares of light bouncing off the towering obelisk of the Washington Monument. At my back, the residency of the highest office in the land. I could feel sweat bead on my brow as I turned onto 7th Street. I was thirsty and eager to get out of the mid-day sun. When the doors clinked closed behind me at the District Chophouse and Brewery it took my eyes a moment to adjust to the soft dim light. It was clear that this was more than just a place to sample fresh craft beer. The first word that came to mind was vintage. Rosewood chairs with ornate backs crowded around tables set with crisp white tablecloths. The glint from brass shown everywhere from the handrails by the door to the taps at the bar. Green ferns and potted plants separated booths while pearl colored columns rose up towards the high ceiling. Taking a seat by the bar I had intended on only sampling some beer but when the food menu caught my eye I could feel my stomach rumble. Strip steak, ribeye, porter house and prime rib all rounded out a robust carnivorous menu. Crab bisque, chicken picatta, and citrus salmon all caught my eye. I quickly knew that my experience at this brewery would also be a culinary one. It wasn’t long before I was digging into Chophouse’s signature steak burger and sipping on some of the best brews they had on tap. 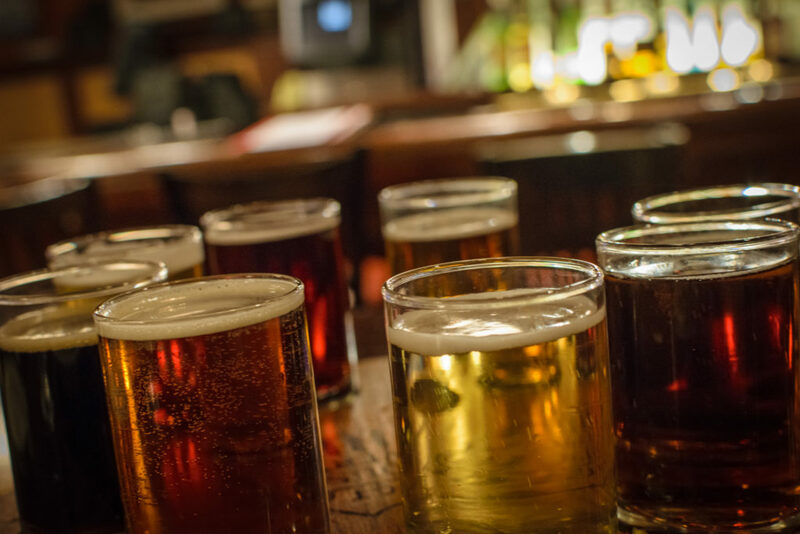 The names of the brews were as simplistic and elegant as the atmosphere. Light Lager, golden in color and light in body was crisp and clean. An easy all-day drinker that immediately refreshed me after my march across town. Next up was Velvet, a slow poured ale deep copper in color with rich malty flavor and a slightly bitter finish. 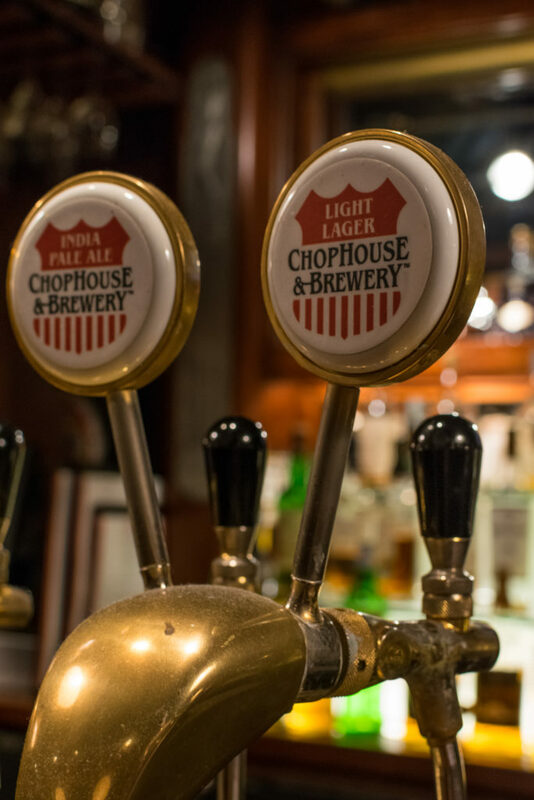 As I finished up my burger I went for one of Chophouse’s special taps. Bourbon Stout a rich oatmeal stout was aged in Woodford Reserve bourbon barrels to give this smooth brew an extra bite on the finish. To round out my palette I finished things off with Inverted Jenny. Chophouse’s latest Imperial IPA this pale was packed with tons of juicy hoppy flavor mellowed out with a citrusy and floral finish. Polishing off my taster glasses I turned to watch a figure brush by my table. Tall, with clean cut graying hair a man in a navy suit and tie walked past to post up at the table next mine. He swung a leather messenger bag from his shoulder to rest next to a black briefcase at the table’s end. “Sorry I’m late.” he said, sitting down next to another mustachioed man in a crisp white button down shirt, his own suit jacket draped over the rosewood chair behind him. “Light lager.” the gray haired man requested as the waitressed appeared from behind the taps. The man with the mustache was already halfway through his own pint. “What a day.” the gray haired guy declared, clutching the pint of Light Lager in both hands as soon as it was placed in front of him. “And its only half over.” he added with a tired laugh. Watching this interaction it was hard not to imagine these two had come from their respective jobs only a couple blocks away on Capitol Hill. Two legislators, from both sides of the aisle taking a breather from it all on a much needed lunch break. The brewery’s location, décor, quiet atmosphere, rich menu, and solid list of beers made it all seem plausible. Outside, the polarizing world of politics raged on but between a juicy burger and a cold beer inside the District Chophouse things were delightfully bipartisan.